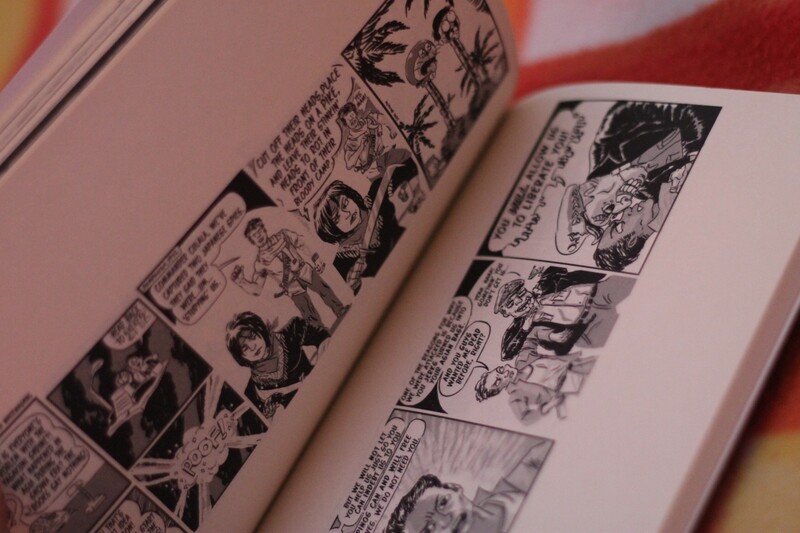 As promised, I’ll be posting a series of reviews about the comic books I got from Komikon 2013/2014. Here’s the first! 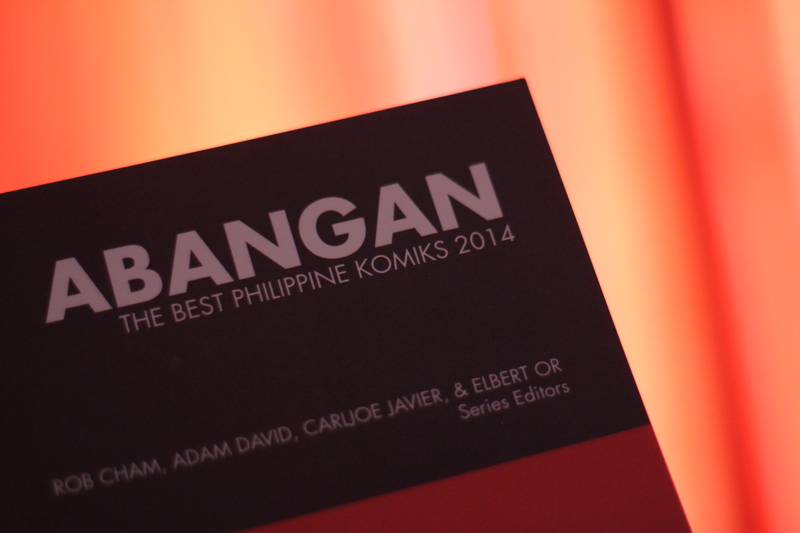 Abangan: The Best Philippine Komiks 2014 is a first to compile different and most recommended Komiks [excerpts] in the country. It’s like the Pinoy version of Best American Comics Series. It’s a good book to introduce Komiks to those who want to start reading our locally published komiks. When I first saw this online, I immediately pre-ordered a copy! 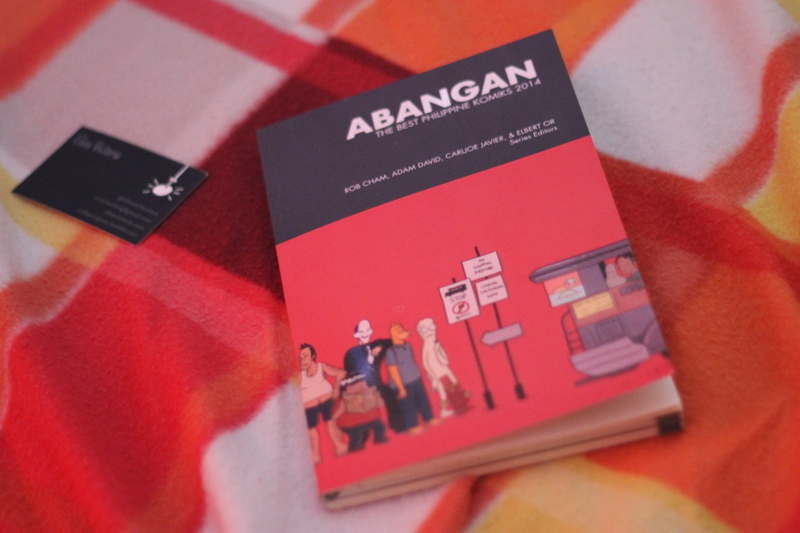 I wish I got to read this before going to Komikon! I discovered through this book such gems I didn’t know before. I have only read few of our local artists—mostly the already popular ones like Manix Abrera, Budjette and Kajo, Gerry Alanguilan—and I am kind of guilty for snobbing the indie artists. There are too many out there and I don’t know where or what to look for—I tend to get overwhelmed with the crowd, the jostling, and the big amount of Komiks/comics laid before me. The cover is designed by Rob Cham and Elbert Or. Published by Visprint. Although I am not sure about the “best” part of this anthology since there are Komiks out there that should be included in here and I didn’t like all of the Komiks in there—to each his own, I must say. 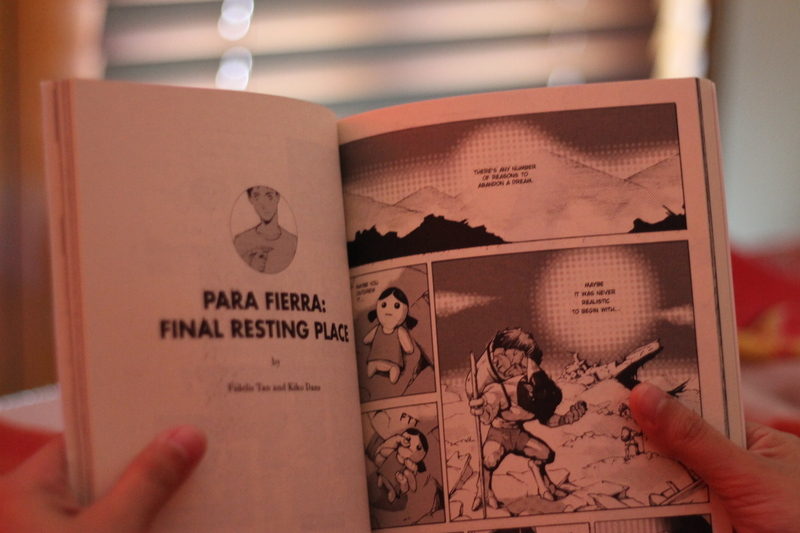 Para Fierra: Final Resting Place by Fidelis Tan and Kiko Dans [#2.5] that explores the question, “When dreams die, where do they go?” I really fell in love with the concept and the story line of this komiks. I can’t seem to put it out of my head for days. 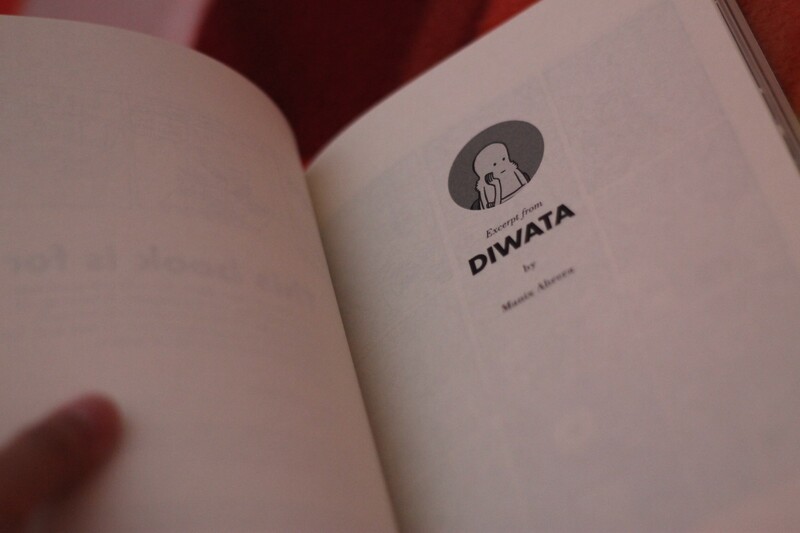 Excerpt of Diwata by Manix Abrera. 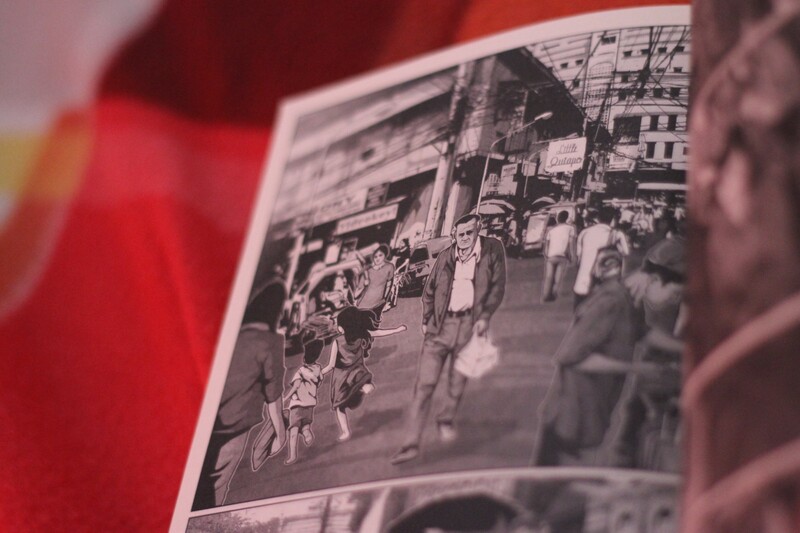 Abrera gained a big crowd of fans because of his witty and relatable comic panels. His booth has one of the longest line during Komikon! This excerpt in the book is a silent one, just like the one he had in 12. I think he’ll be releasing another silent comic book soon. Excerpt from Crime-Fighting Call Center Agents by Noel Pascual and AJ Bernardo. This one is just an excerpt and I got confused about the story line but what astounded me here in this excerpt is the heavy details of the art/panels and the extraordinary presentation that I cannot even explain myself. Those galactic, out of this world illustrations reminded me of the weirdness of Charles Burns’ comics, Black Hole—that, I didn’t finish—but in my opinion, they have the same art/style. Dead Balagtas by Emiliana Kampilan. I remember this comics created quite a noise online and became the talk of the town. I see it everywhere, on Facebook or Twitter. It is a genius, funny comic portrayal of the Philippine history. I believe the panels were translated from Filipino to English in preparation for the international edition. It still worked, I think. If you are interested to read about the local comic scene, I highly recommend you to get a copy of this. It’s a good place to start and hopefully, it will cover more indie komiks soon. The copies will be available soon in major bookstores. For more details and updated news, check their Facebook page. 22 Apr	This entry was published on 22.04.14 at 2:10 am. It’s filed under In Which I Think About Random Things and tagged 2014, Abangan, Abangan: The Best Philippine Komiks 2014, Adam David, AJ Bernardo, Carljoe Javier, Crime-Fighting Call Center Agents, Dead Balagtas, Elbert Or, Emiliana Kampilan, Fidelis Tan, Ian Sta. 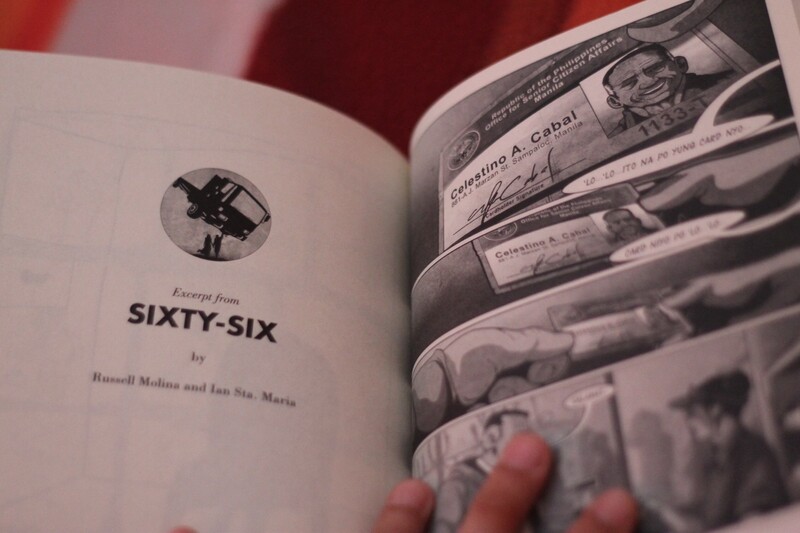 Maria, Kiko Dans, Komiks, manila, Manix Abrera, Noel Pascual, Para Fierra, Philippines, Rob Cham, Russell Molina, Sixty-Six, Summer Komikon, Visprint. Bookmark the permalink. Follow any comments here with the RSS feed for this post.